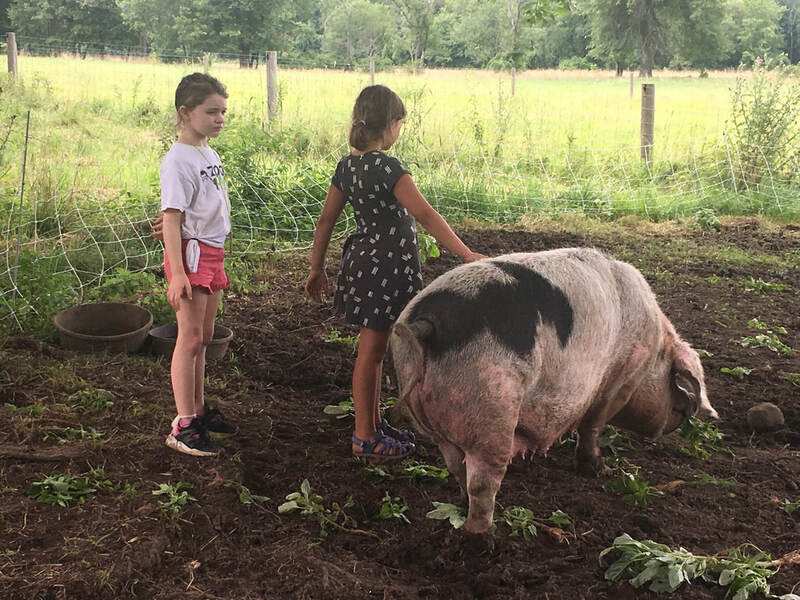 Farm & Garden Camp seeks to inspire and equip youth and young adults to enjoy growing, harvesting, and working with food and fiber, as well as to contribute to robust, regenerative, and just food systems. • One-week sessions for campers K-6th graders plus leadership programs for 6th-9th graders. • Monday through Friday, 9:00 a.m. to 3:00 p.m. with drop-off in the morning starting at 8:45 a.m.
• Maximum of 57 campers per session, including teen leaders. • ​Low staff to camper ratios. 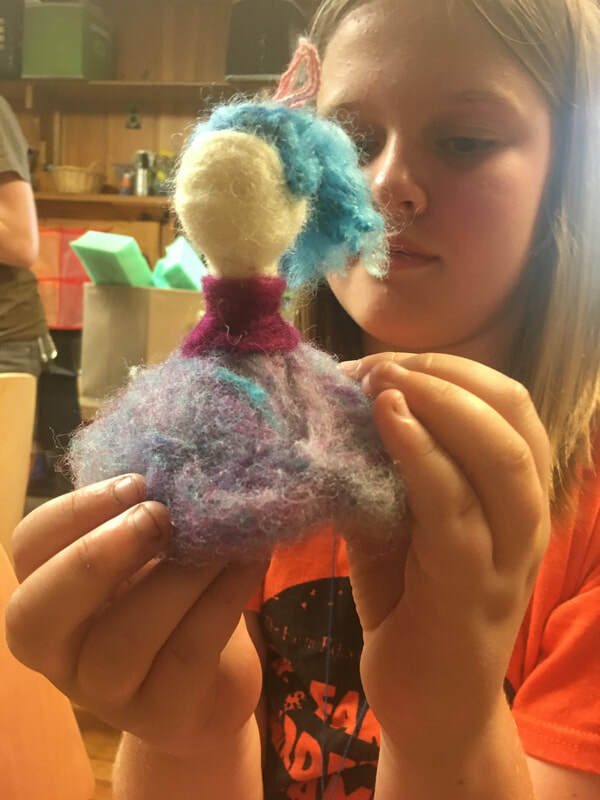 * Activities: Campers rotate between The Children’s Garden, barnyard and animals, and agricultural arts including felting, cooking, and craft projects. Each camp day includes a rhythm and balance of being all together as one mixed-age farm camp community, and spending time with same-age peers in your camper group. Campers engage in age-appropriate activities at camp. As the campers grow, the activities grow with them. For example, as a Seedling or Sprout, campers might focus on watering and bug picking in the garden, while Harvesters might help to build a new pea trellis or learn to save heirloom seeds. Every camper group has special activities that are specially designed for their age and abilities! All groups emphasize teamwork and community. Seedlings (K and 1st graders who are new to camp) get to know the farm and how to move around the farm safely. They meet and tend to all of the animals, harvest food in the garden, create felting projects, prepare farm fresh snacks, and much more. If your camper is entering K or 1st grade and has never been to Farm & Garden Camp before, this is the group for them! Sprouts (1st graders) continue to get to know the farm and how to be safe in the fields and with the animals. Their projects exercise increasingly fine motor skills and planning for final products. Sprouts spend extra time with bunnies. Planters (2nd graders) venture into further areas of the farm, expanding their geographic sense of place and space. They get some more time in the kitchen, and spend extra time with birds and goats. 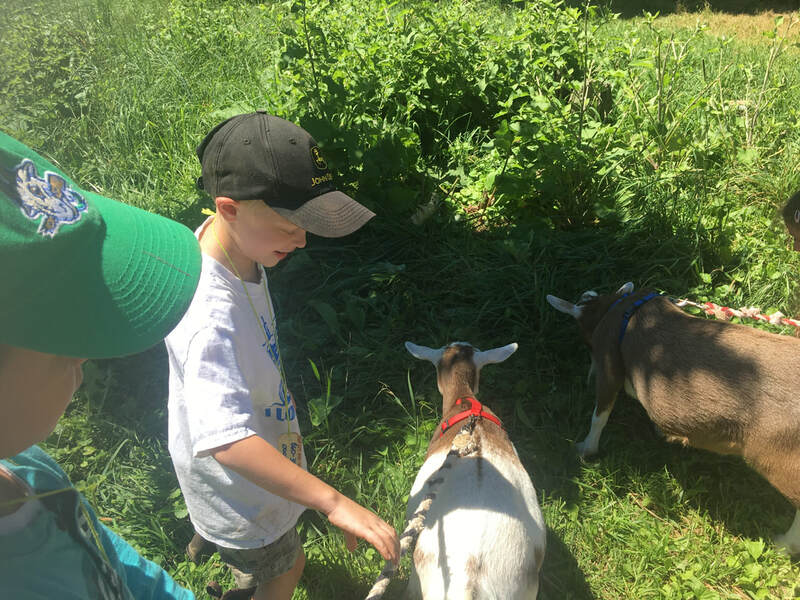 Herders (3rd and 4th graders who are new to camp) take on more physically challenging tasks on the farm, such as working in the fields with the farmers. They also begin to dig more into the ecology that underlies growing food and the art of animal care. Harvesters (4th-6th graders) take on more of the tasks that support all-camp activities, such as learning about animal health, making pizzas and assisting with the cob oven for Friday Feast, and running the Thursday afternoon Farm Stand for camp families.